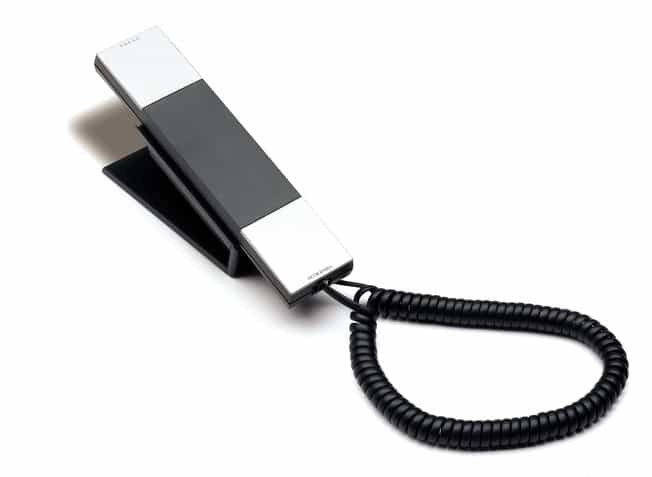 The JACOB JENSEN Telephone 1 telephone is one of the smallest analogue phones on the market today and gives ease of use with the keyboard positioned under the hand set. The head set is elegantly lifted into your hand by lightly pushing on the upper part. It is equipped with 2 direct memory keys, 10 secondary memory keys, a last number redial and a mute function. 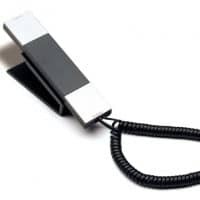 The ring tone can be switched from high to low and the phone can be used on a switch board. 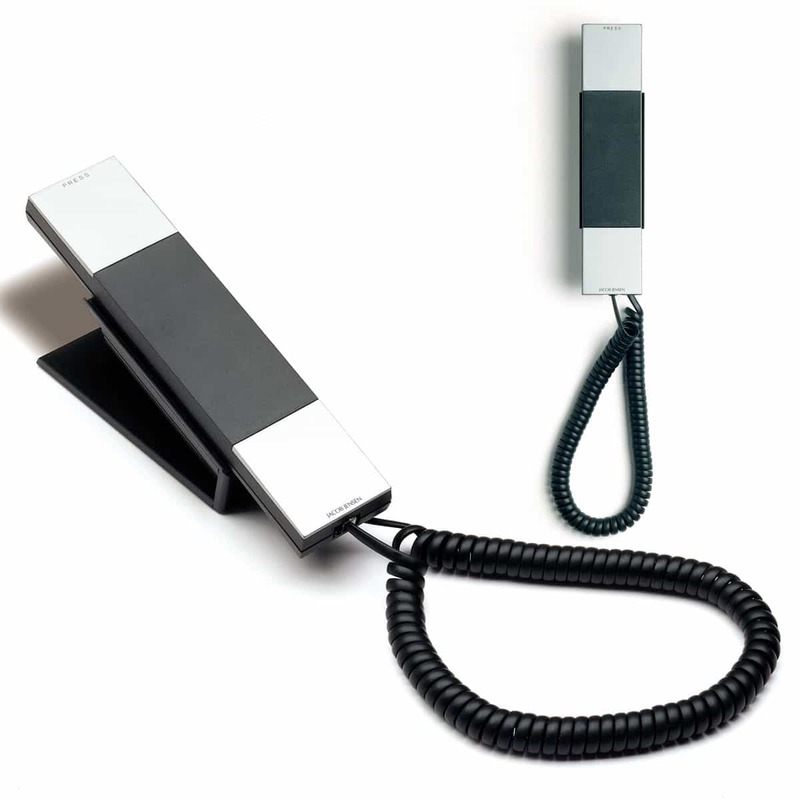 The Telephone 1 has a removable base which makes it suitable for both table and wall mounting. Table or Wall-mountable (stand included).